You have gifts and a dream – that inner sense that there’s more for you in life. 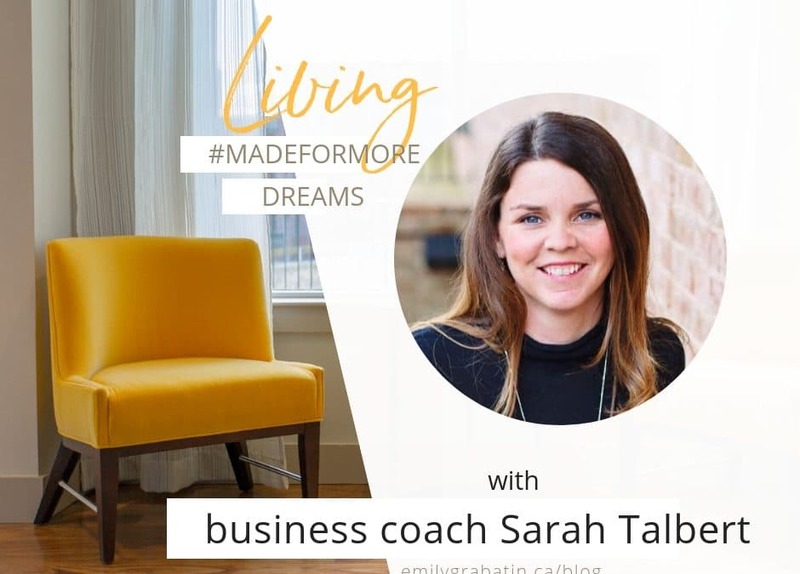 Today’s Living Made for More dream interview with business coach Sarah Talbert, we’re going to share some mindsets and actions that helped her discover her gifts and build confidence to grow a profitable business. When I first connected with Sarah she was exploring her dreams and her potential. She was full of questions, not sure her best way to move forward. Over time I watched her blossom in confidence as she found her way of sharing her wisdom and gifts in the online space. She draws entrepreneurial moms with her gentle authenticity and her optimism. Since we first met, she’s become a business coach that helps women discover their gifts so they can build a business that brings them joy and a profit. She’s also working on using her hospitality gifts and passion to host an in person retreat for women wanting to grow their businesses. If you’re looking for encouragement in discovering your own gifts to profitably impact the people you feel called to help and inspire, this is for you! Begin 10 days of creating space in your heart, mind and day so that you can take your next brave action in your dream with the Brave Action mini course. Done with the Scarcity Valley that keeps holding you back from your dream, steals your energy and wastes your time and potential. This 4-day video mini training series is for you to get refocused in your #madeformore dream. Woot woot! Your first email is headed to your inbox. Check your pesky spam folders first! Want Your Vision Board To Work?